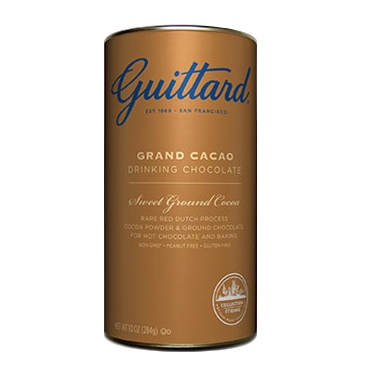 Unlike many drinking chocolates, Guittard's Grand Cacao contains real chocolate! Artisan Crafted in traditional grinding mills that also make milk chocolate. INGREDIENTS: Cocoa (Dutch processed with alkali), Pure Cane Sugar, Bittersweet Chocolate (cacao beans, pure cane sugar, cocoa butter, soy lecthin), natural flavor.